Zonk Ejuice has the crowd going wild for its variety of fruity bubblegum flavors, all including their own unique combinations of mouth-watering fruits with candied bubblegum. This comic book themed vape juice gives you the full experience of its phrase “Zonk” since it hits you with its unbelievable satisfaction in its quality and quantity. They made sure that you could relive that first bite of bubblegum with the gush of a delicious burst of flavor over and over again until you decide it’s time to move on, which you won’t. It’s like going to a candy store and picking out either what you’re used to or something new that you’ve never seen before. Sometimes the new will surprise you and I guarantee that Zonk Vape Juice will be the company that surprises you the most. Only in the best ways possible. Even though it sounds hard to believe that there is a line strictly dedicated to favorited bubblegum flavors, I can assure you that it’s as true as it gets. Zonk gives you that initial POP that you’re looking for when you are craving something that literally lip smacking and packed with flavor that you can never go blind too. Each juice as original as the other, all have been carefully crafted and tested by the Zonk Eliquid Team in their lab. Making sure each juice was made with care and for different varieties of people who have specific tastes that they’re looking for when finding perfect vape juice. You will not regret giving any of these juices a try since they all contain nothing but fruits and candy. How can you go wrong with either one of those flavors? Why not have both when you have the opportunity for the taking. 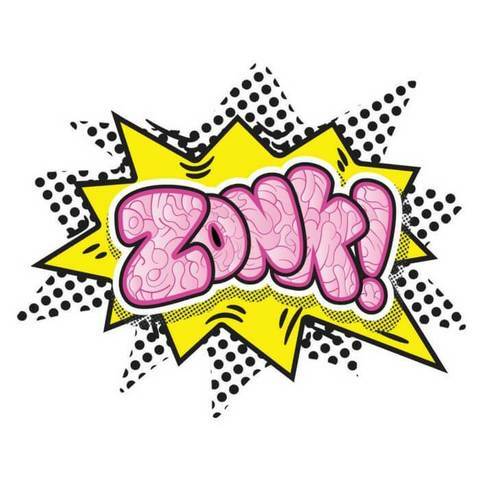 Check out our wide selection of Zonk’s bubblegum line of juices and give your taste buds a break from boring vape juices. Take the fair with you all day every day by giving this candied beauty a try. If you want pure cotton candy this vape juice is the closest thing you’ll ever get to finding that perfect flavor. On the inhale you’ll get the immediate taste of fluffy sugared cotton candy that just dissolves onto your precious taste buds. While on the exhale it’s a pleasant intrusion of sweet strawberry bubblegum complimenting the sweetness to the original cotton candy taste. Surely you’d agree that this vape juice can cure any sweet tooth craving that comes your way. Ever open a pack of fruity bubblegum and notice the strong scent of the mixture of fruits that have you extremely excited for a piece? Well, Mixed Berry by Zonk will have you feeling the exact way once you take a whiff of it’s the divine aroma of mixed berries and candied bubblegum. Not only is the scent hypnotizing, but it’s rush of delightful flavor that just hugs onto your tongue as the flood of thick vapored clouds come flowing in on the inhale. Drawing nothing but sweet and tarted berries such as raspberries, strawberries, and even blueberries. As you breathe out a sneaky taste of sugary bubblegum glides against your tongue giving you the best mixture of flavors you’ve ever experienced. If you’re into the tangy and sweet flavored sensations then this will be your new savior to worship. Zonk made sure that you have the everlasting essence and delish intensity of sweet tangy orange that absorbs right onto your tongue on the inhale. While the honeyed taste of fresh mango soothes those tanged taste buds and top each one off with the candied taste of sugared bubblegum on the exhale. Giving you and your taste buds the time of your life just having even one puff of this irresistible vape juice. A refreshing drink made into an enjoyable snack just for those who like the bittersweet mentholated flavors. Pink Lemonade by Zonk is like having a juicy piece of bubblegum that’s combined with sweet-savory strawberries on the inhale and bittersweet lemon on the exhale with a slightly mentholated twist to resemble the exact experience you’d have to a cool glass of pink lemonade. Wouldn’t this just sound purely delicious if it was mixed into a bubblegum flavor? Oh wait, it is.